If you are a history buff and coin-collecting enthusiast then you know the importance and historical significance of the Roosevelt Dime, which was issued in honor of the late President Franklin Delano Roosevelt starting in 1946. As many coin collectors of the Roosevelt Dime collection, these coins have great significance from the fact that it honored Roosevelt for his efforts in the founding of the National Foundation for Infantile Paralysis which later fittingly became known as the March of Dimes (Thank you, Mr. Wikipedia). 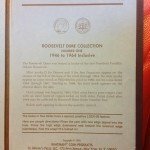 Should you happen to be a collector, then the Whitman Coin Folders for Roosevelt Dimes are three needed items to add to your coin collecting supplies. 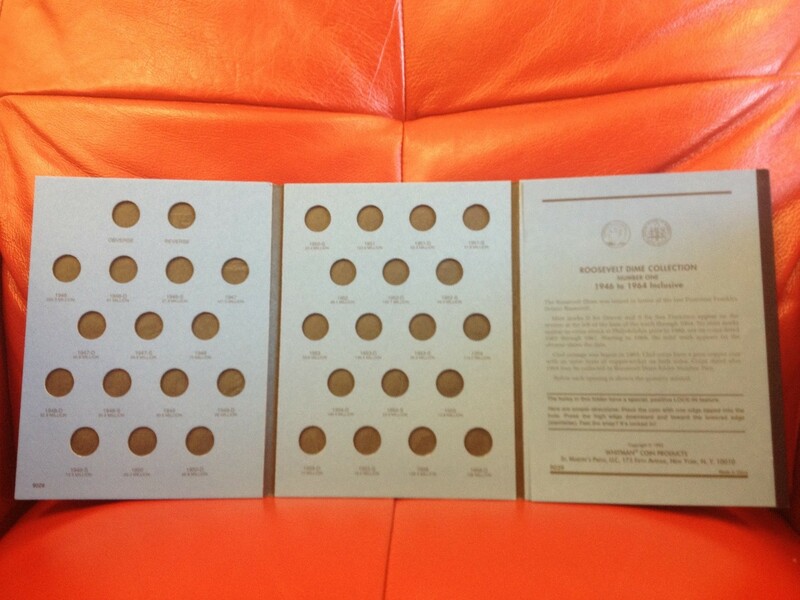 We have three different coin folders for different date ranges that can be found in our Dime Folder’s section here. 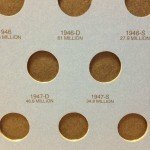 Designed for Roosevelt Dime enthusiasts, these coin supplies are a functional and cost-effective way to protect and maintain your coin collection. They also provide a fun and unique way to present your collection to other coin collectors, colleagues and family members. Mint marks for where the coin was created. There is either a D or an S for Denver or San Francisco. This can be seen in detail in a picture below. The holes have a special, positive Lock-In feature that effectively holds the coin in place without any risk of falling out. 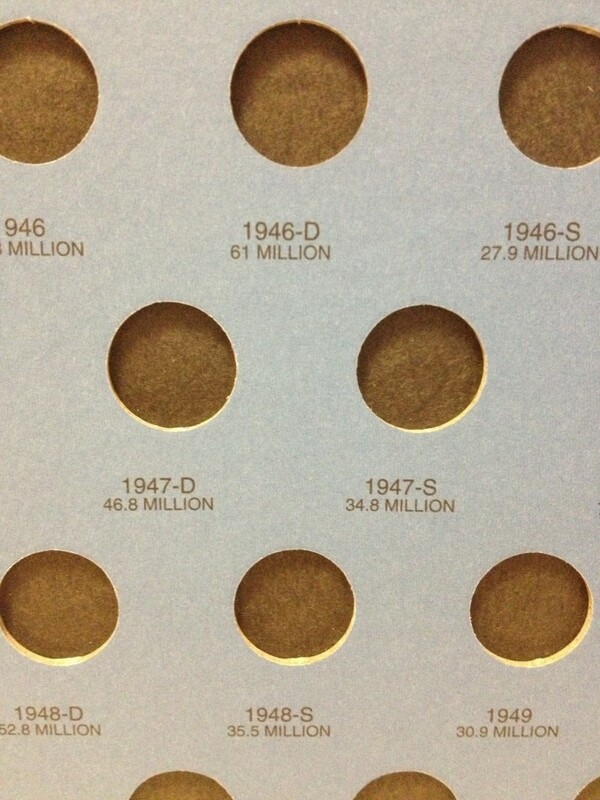 Each place holder for the coin features the year, where it was made, and how many were made that year. This gives great detail for each specific coin without having to reference a coin guide. The book holder itself has a hard encasing, preventing any bending which would protect from loss of coins. The finish is a handsome navy leather bound look and exquisite silver writing which gives a polished and high end feel, sure to impress any admirer. 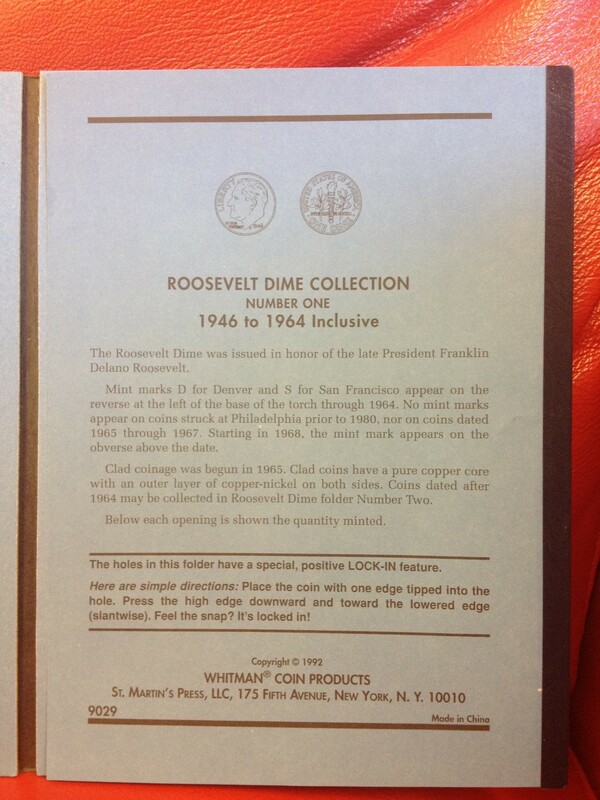 All of these Roosevelt Dime Folders are easy to open and close and very navigational friendly. 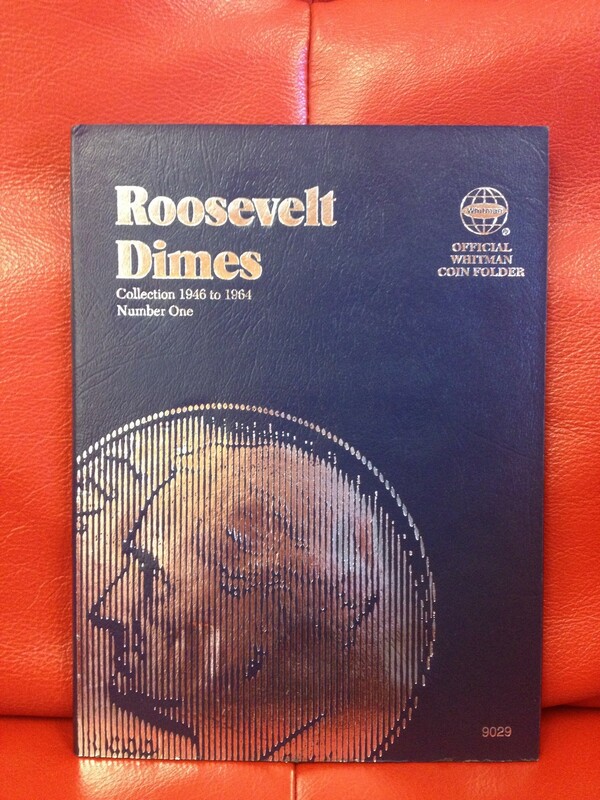 The first book located here, is a showcase platform for Roosevelt Dimes between the years 1946-1964. Not only is there slot for one coin in each of those years, this book also provides the circulation of that year’s Roosevelt Dime. 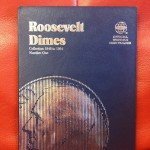 On the third page of the book is an informative piece on the history of the Roosevelt Dimes which provides an interesting insight into the years these coins were made. 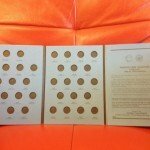 The second folder found here, is also a great addition to any collection because it spotlights the more recent collection of Roosevelt Dimes — specifically from 1965-2004. Both of these are durable and are available in a handsome navy color. At just $2.99 per folder, the price is very reasonable and provides a great value. These would make a great gift for any Roosevelt Dime enthusiast. The most recent folder can be found here, highlighting the 2005-2010 years.